Ever since I first heard the idea of grouping together a number of countries under the heading BRIC I began to wonder what on earth was going on and what these countries might have in common. The first and admittedly shallow question I asked myself was whether countries with the initial letter I were being included in these groupings simply to make the acronym work. The disgraceful dismissal of the Mediterranean economies as PIGS is a case in point. Ireland's economy was certainly in trouble as a result of a housing boom but otherwise had no place in this group. Could its usefulness in having an initial 'I' actually have exacerbated speculative attack against its national debt? In recent days, and largely because he has a new series on Radio 4, the man who invented the acronym BRIC, Jim O'Neill, has emerged from the shadows to claim his laurels. It is remarkable in economics how often a person can be remembered for simply one phrase or concept, no matter how shallow, so long as it supports a move that benefits the global economic elite. 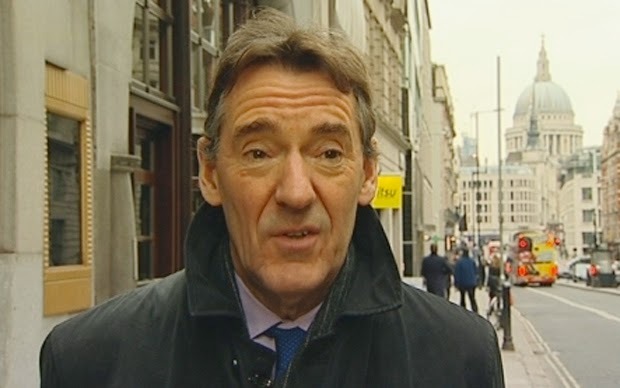 Jim O'Neill it transpires is a Goldman Sachs man, part of the international club that bankrupted the global economy: so why on earth is he being allowed to frame the future direction of that economy on prime-time national radio funded by myself and other British citizens? But let's return to my initial question about whether the idea of the BRICs has any theoretical merit. The four countries involved have wildly different cultural backgrounds, motivations, and religious orientations. India and China being by far the most populous countries on earth are clearly very influential, but their economic trajectories have been utterly different in recent years. Brazil sits in the US's backyard, which has Left an indelible mark on its political economy, while Russia has emerged during the past 20 years from several generations of communism into a form of oligopolistic capitalism. On considering this question more deeply it becomes obvious that I am crediting the idea with much greater sophistication than it deserves or claims. The answer to my question 'What do all these countries have in common?' is a simple one: they have natural and human resources that can be exploited to generate value for the global elites. They represent the most likely site for the expropriation of value. Hence the term BRIC implicitly demonstrates how globalisation works and the mindset of those who are driving it. Which brings us to Jim O'Neill's new radio series and his exciting new acronym MINT. (Incidentally his Wikipedia entry tells us that he previously included Korea in this list but has substituted Nigeria either for theoretical reasons or simply to make a more attractive word.) The four countries whose initial letters are combined to create the word MINT--Mexico, Indonesia, Nigeria, and Turkey--again appear to have little in common other than natural resources and willing governments. I accidentally caught five minutes of the programme on Mexico and was shocked by the shallow application of crude theory, such as O'Neill's dismissal of the thousand-year-old market in Mexico City as inefficient. His level of analysis was frankly embarrassing and I questioned who could have allowed him onto the BBC. But of course the program is not commissioned for its insight but rather as an advert to those who are seeking new territories for their investment. For this reason perhaps countries whose initial letter is a vowel might think urgently about changing their names. give you a shout out from Atascocita Texas! Just wanted to tell you keep up the excellent job! Secular Stagnation or Spiritual Growth?